Controlling the power circuits of as many as four separate devices is a snap with this relay module. 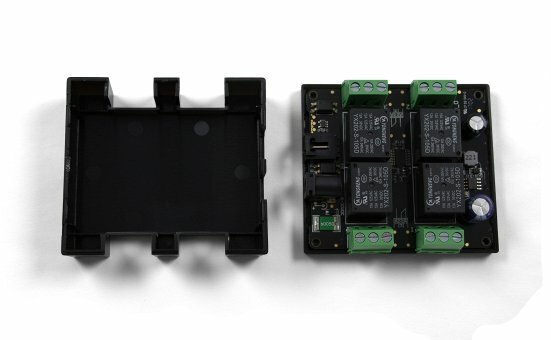 Each mechanical relay can control a seperate circuit of up to 210W of DC power or 1750 VA of AC power. 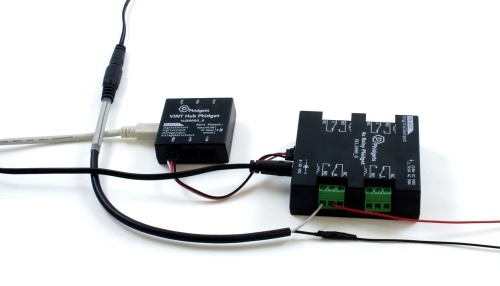 This module requires an external power supply, which is isolated from the VINT port in order to improve stability by preventing ground loops. The relays by nature also isolate the load circuit from the control circuit, meaning you don't have to worry about voltage spikes in the load damaging your VINT Hub or computer. The REL1000 connects to a port on a VINT Hub. See the Connection & Compatibility tab for a list of hubs. 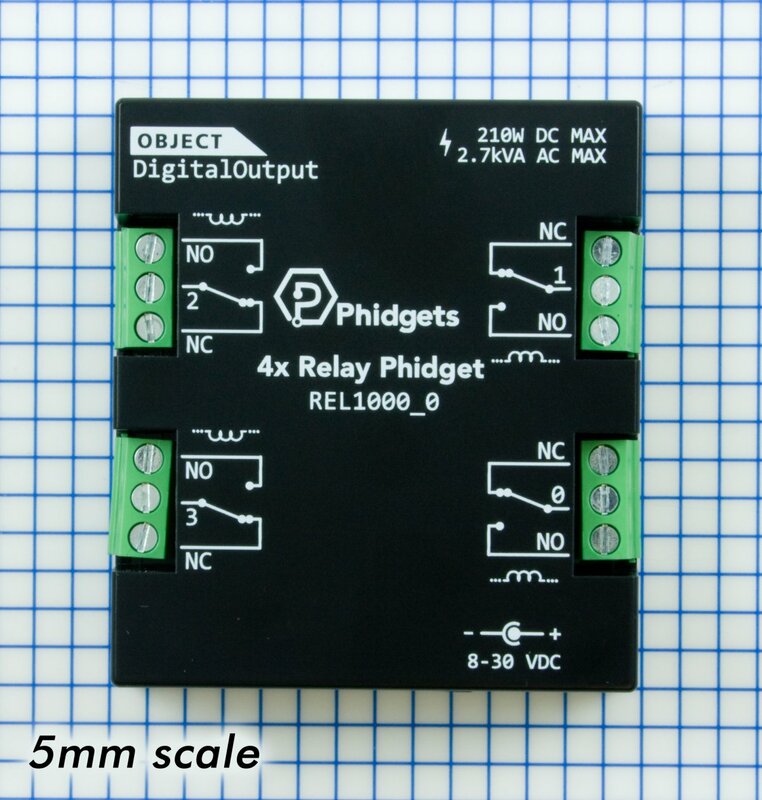 This Phidget requires a power supply between 8 and 30V DC. 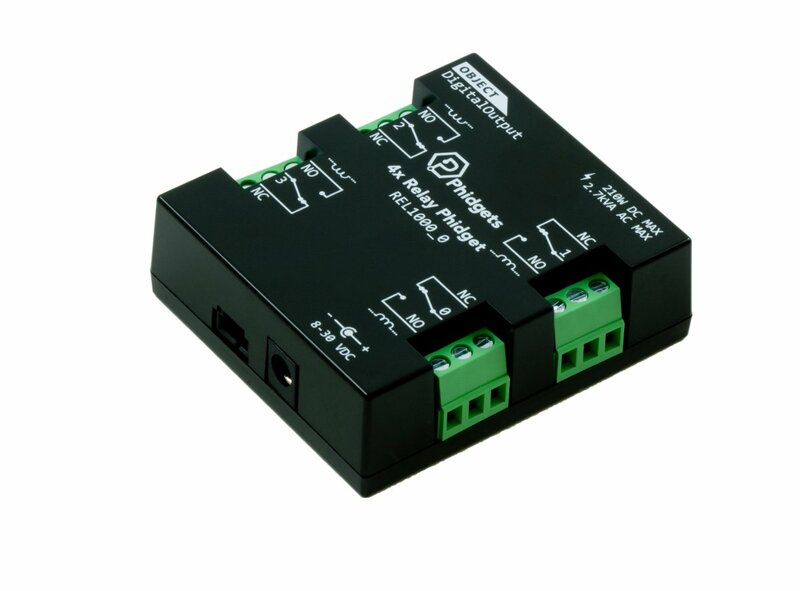 We recommend that you use a 12V 2A DC power supply, since this is more than enough power to operate all four relays. Select the power supply from the list below that matches your region's wall socket type. 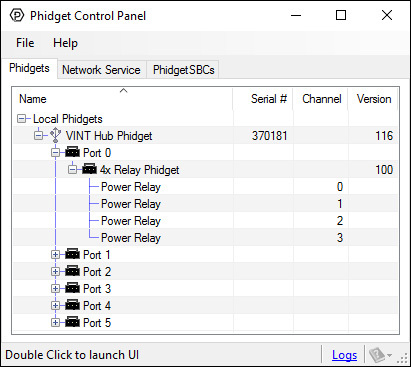 Connect the REL1000 to the VINT Hub using the Phidget cable. Connect the circuits you're switching to the terminal blocks on the REL1000. If you want the circuit to be closed by default when the relay is not energized, connect the two ends of the circuit to the NC and COM terminals. If you want the circuit to be open by default, connect it to the NO and COM terminals instead. It doesn't matter which end of the circuit is connected connected to each of the two terminals in either case. Connect the power supply to the barrel jack on the REL1000. Now that you have everything together, let's start using the REL1000! In order to demonstrate the functionality of the REL1000, the Phidget Control Panel running on a Windows machine will be used. Linux users can follow the getting started with Linux guide and continue reading here for more information about the REL1000. If the failsafe timer is not reset before it runs out, the channel will enter a failsafe state. For Digital Output channels, this sets the output to a FALSE state. On the REL1000 this switches the relay contact to the Normally-Closed position. Once the channel enters the failsafe state, it will reject any further input until the channel is reopened. The relays on the REL1000 are SPDT (Single pole, double throw). 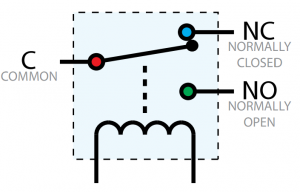 This means there is a common pin (C), a normally open pin (NO) and a normally closed pin (NC). When the relay is unpowered, the switch will be resting in the NC position, as seen in the diagram. When the relay's Digital Output object is toggled in software, it will switch to the NO position. 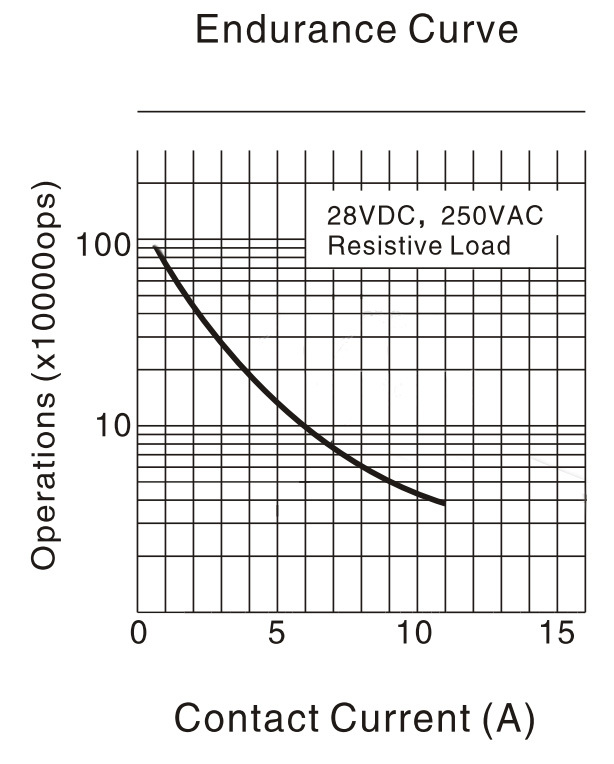 If the Digital Output object is closed (using the Close() method), the relay will always return to the NC position. For this reason, it is considered a best practice to call Close() at the end of your program on in the 'closing' portion of your project. If communication between the REL1000 and your computer is broken (e.g. if the Phidget cable is unplugged), the relay will not change state. You will, however, get a detach event for the attached channels of that Phidget, so you may want to handle this case in your Digital Output detach handler. Since communication is already interrupted at this point, you can't tell the Digital Output to return to the NC position, but you can set a warning in your program to notify someone to come and reset the system manually. You can read more about how mechanical relays work on our Mechanical Relay Primer.